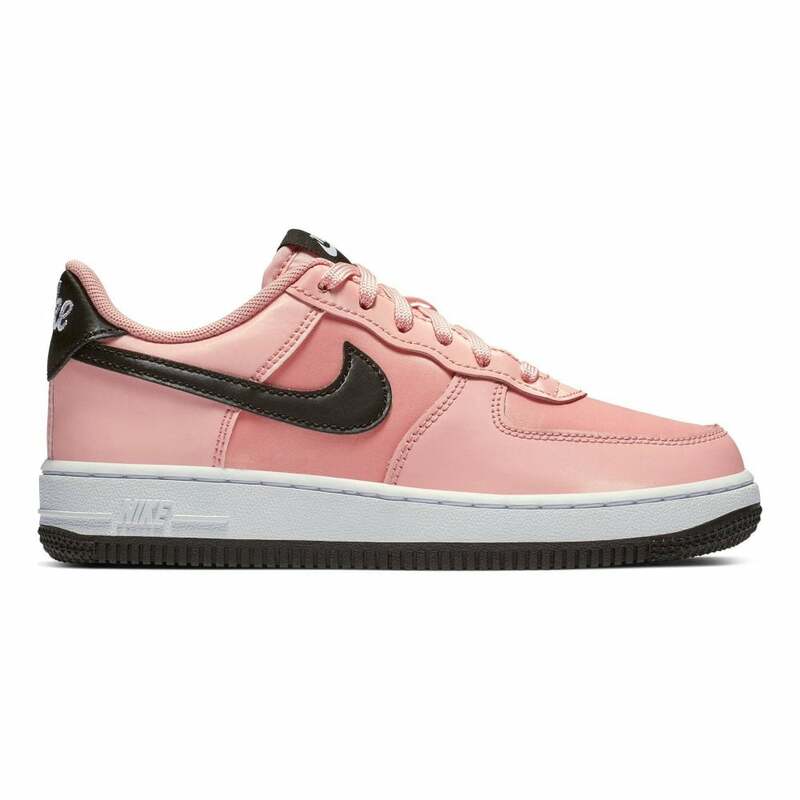 These lace-up Nike Force 1 V-Day Trainers have a leather & synthetic upper and are coral in colour. The trainers rocks the same design of the original with colours and details inspired by love. They have a textile lining and a soft foam cushioning footbed for a snug, comfortable feeling all day. Nike Swoosh branding appearing on the sides in black with additional Nike branding embroidered on the heel as well as on the tongue and sole. They have a white mid-sole and a thick, non-marking black rubber sole with a deep wave tread for excellent grip.